Michael Underhill, chief investment officer for Capital Innovations, challenges anyone who claims that sustainable and socially responsible investing is not a profitable endeavor. Michael Underhill, chief investment officer for Capital Innovations, challenges anyone who claims that sustainable and socially responsible investing is not a profitable endeavor. And as the world over gears up to mark the 45th Earth Day this week, it’s quite clear that he would win his case, because socially responsible investing has become the norm. Today, more investors are keen to invest by Environmental, Social and Governance (ESG) standards. 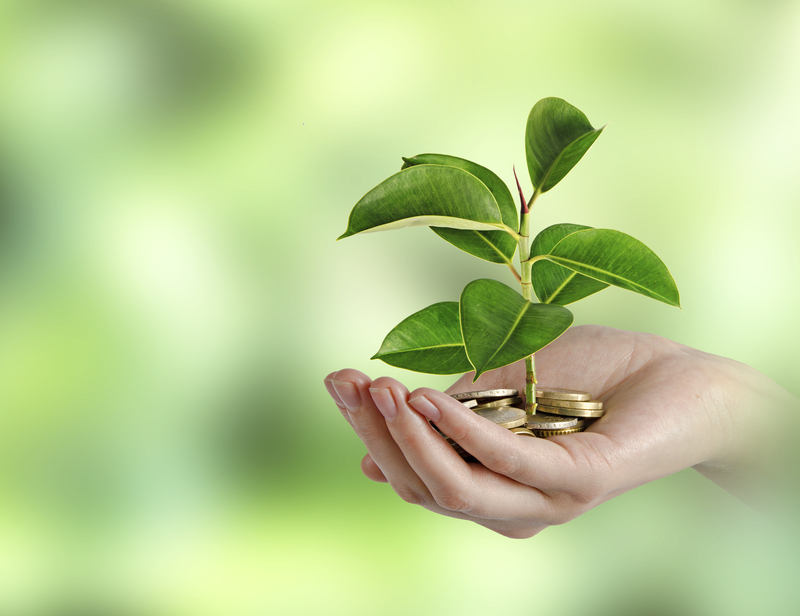 According to the Forum for Responsible and Sustainable Investment (SIF), assets into sustainable investing grew by $6.6 trillion between 2012 and 2014. Conventional investment firms are increasingly active in creating and marketing targeted products for sustainable investors (green bonds are commonplace now), and today, the organization states, interest in social, sustainable and impact investing attracts a wide array of different kinds of investors. As it should, according to Underhill because he said the earth is increasingly pressed for resources. Many believe that climate change should be at the forefront of global policy making and as the world’s population continues to increase, the depletion of a finite supply of natural resources—water, food, energy—affects everyone, he said, investors included. To that end, everyone has a duty toward preservation and the more money enters the sustainability universe, the more viable an investment destination it continues to become. This is particularly important given emerging market economies’ rapid growth rates, according to Underhill. A couple of weeks ago, Saturna Capital, which has a long track record in serving faith-based investors and is a leader in Sharia-compliant investing, launched an equity and a bond fund dedicated to sustainable investing. The funds will be investing in the stocks and bonds of companies around the globe that exhibit superior environmental, social and governance standards, said Paul Meeks, manager of the Saturna Sustainable Equity Fund. Meeks looks to score companies for each of the three ESG categories. Some companies may score high on one more than the others, he said, but still, if the ESG requirements do come together, then he will include that stock in the portfolio. A company such as luggage maker Samsonite, for example, is not so much an environmental play as it is a societal and governance play (Samsonite has an excellent track record with respect to its employees and sound financial metrics, Meeks said), but BorgWarner, a maker of auto parts, is, according to Meeks. For Underhill, the two areas that could benefit from private investment and are also a lucrative place for investors to put their money are water and agriculture. The global water supply/demand imbalance is increasing as a result of population growth, he said, particularly in arid, water-short regions, and there’s an increase in water contamination as well as an inefficient utilization of available supplies. Futurists have predicted that increased water shortages, exacerbated by global warming and the emerging market boom, could cause increased food imports, population shifts, domestic political unrest, and even geopolitical conflict. Underhill invests in wastewater, industrial treatment, chemicals, desalination and bottled water, among others. With less than 3% of water currently being recycled around the world, there are many investment opportunities that can prove worthwhile, he said, and the impacts of water shortage on agriculture also means there are opportunities in that sector, too – opportunities that are “earth friendly” and also capitalize on the trends that food scarcity and population growth are driving. He cites the example of White Wave Foods, a company that was spun out of Dean Foods and whose stock rose by close to 75% over the past year. White Waves is a leader in using plant-based proteins, an important food source that’s been advocated by a recent U.S. government panel because it’s associated with lesser environmental impact. In emerging market countries, too, plant based proteins are becoming more important, Underhill said, a trend that only enhances the investment appeal of companies that are involved in its production.